Earthquake Prediction: 4.7R in E. Mediterranean Sea, Greece! 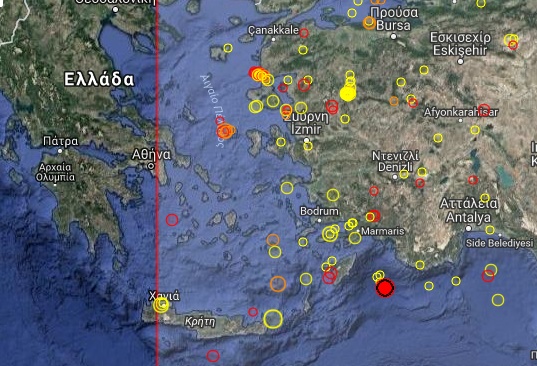 4.7R in E. Mediterranean Sea, Greece! A 4.7R was registered minutes ago in the E. Mediterranean Sea, as shown on the map.